The deity, Lord Guruvayoorappan, is Lord Vishnu Himself, in the form of Sri Krishna incarnate.The idol is believed to have existed from the era of the various incarnations Lord Vishnu took to destroy evil and protect the good. Hindus believe that the idol is the symbol of the supreme divine protection Lord Vishnu offers his devotees. The temple opens at 3 AM, with a ceremony called Nirmalya Pooja. The idol of Lord Krishna, still adorned in the garlands of the previous day yet still looking full of splendour, is a sight not to be missed. It is believed that Gods come down from heaven to visit the deity in the night. The deity is then bathed and adorned with garlands, bright clothes and ornaments. He now appears as the playful child Krishna. Rice and sweet offerings follow, and a procession called Sheeveli is performed where the deity is placed on top of an elephant, and goes around the temple thrice, followed by a trail of devotees. By 9 AM, the temple is open for devotees to have a glimpse of Lord Guruvayoorappan. The sheeveli repeats in the evening and night, with several poojas and offerings done at designated times in between. In the evening, a special ceremony called deeparadhana is performed. The entire temple comes to life with thousands of lit lamps illuminating the temple in all grandeur. The smell of incense, the blow of conches and drum beats fill the air, taking the devotee into the deep realms of an absolutely divine experience. A third sheeveli is performed in the night before the temple closes at 9:15 PM. Krishnanattom: This is a beautiful dance form with rhythmic movements, performed by highly skilled artists to the tune of songs sung about the life of Lord Krishna, from birth till ascension to heaven. This art form is performed on demand of devotees everyday at the Guruvayoor temple. Chembai Music Festival: This grand musical event is held as part of Ekadashi Festival in November-December, in loving memory of the famous musician Chembai Vaidyanatha Bhagawathar. More than 2000 musicians gather in Guruvayoor to recite the classics of carnatic music for 12-15 days. This festival is becoming more popular with each passing year. 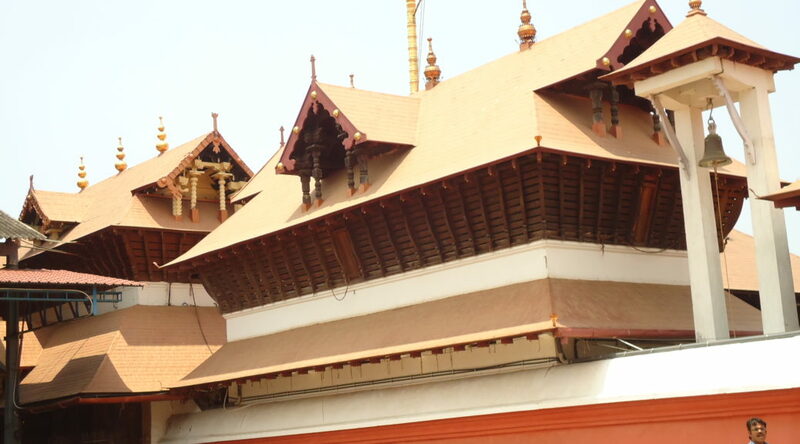 Guruvayoor Utsav: This is a 10-day festival of the temple in the month of February-March. It hosts various events like elephant race, flag hoisting, and dance and art forms. The entire temple is illuminated with brilliant colourful lights, and there is a modest fireworks display without use of explosives. Not only the temple premises, but the whole town wears a festive look with brightly decorated streets and houses. Coming to Guruvayoor is a blessing on its own. This place of magical natural beauty and rich traditions is sure to steal the heart of any traveller interested in Kerala’s history. For any Hindu devotee, Guruvayoor is a land of absolute bliss, and nothing can describe the pleasure of getting to see the Lord in all glory after waiting for hours in a hustling crowd of devotees, each trying to catch a glimpse of the deity.